After the recent reports emerged in the media about the vacant posts of Assistant Professors in government medical college, and its failure to fill the posts event after six months of advertising for eligible candidates; even the MCI has now raised objections to increase the MBBS seats in the college. The reasons cited are the same. Shortage of staff, supplemented with lack of infrastructure. This announcement by MCI was made after the inspection team visited the college in the first week of December last year. 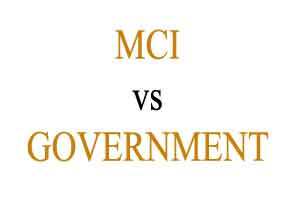 MCI has earlier also raised objections against increasing the seats in the Government Medical College. It has been more than five years, during which the collage has been making an attempt to get the required permission. MCI has declined Government Medical College’s proposal to increase MBBS seats to 200. However, the college authorities have implied that there are only minor objections by the MCI, which can be handled over a short period of time. The authorities are hopeful that these minor objections will not stop the MCI team from further recommending their proposal. As reported by Tribune, College principal Dr BS Bal said: “We would look into whatever objections have been raised by the MCI team. These are of minor kind and hopefully the MCI will find the college eligible for consideration for increase of seats. Sources at the college stated that a meeting of officials of the college and the medical education department had been called for Monday to discuss the issue. “The most crucial issue is the shortage of manpower. A large number of seats of faculty are lying vacant at present,” said a senior doctor, adding that the vacant posts should be filled before inviting the MCI for another inspection.